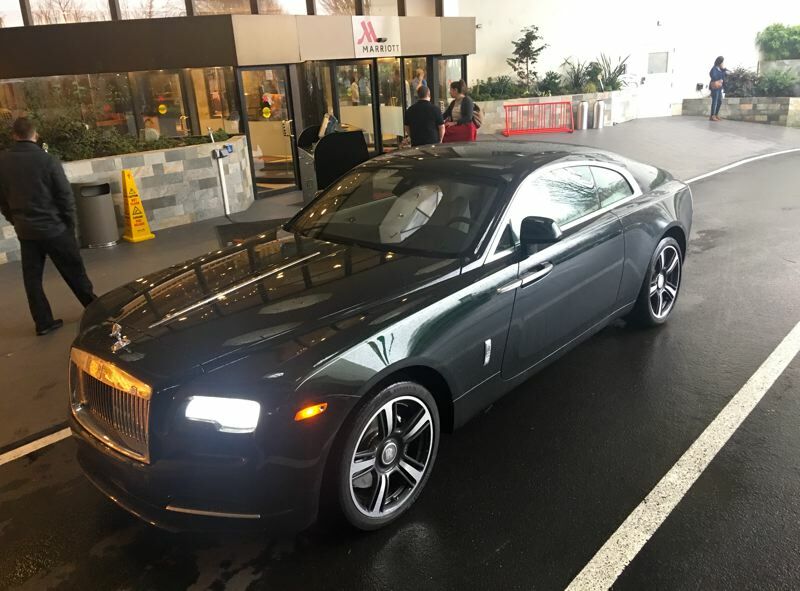 The bottom line is that the 2018 Rolls Royce Wraith is a singular experience. Obviously few people can afford to own one of these cars, but if you have the money and you want the ultimate in bespoke luxury, the Wraith was made for you. When you step into a Rolls Royce, you're stepping into a whole new world of luxury. That may sound like a marketing slogan, but it's the truth. 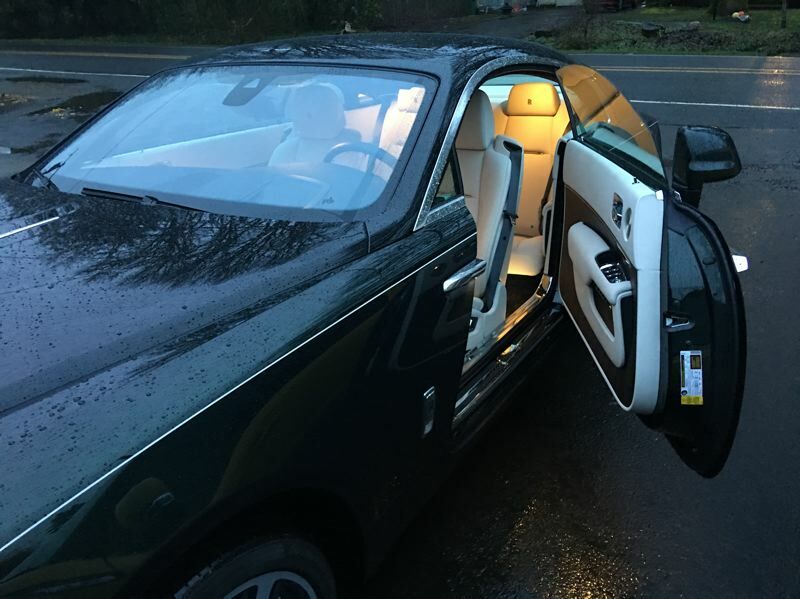 A Rolls is an entirely different sort of car than anything else you might buy. Actually, for $400,000, you could buy a whole bunch of ordinary cars, but you'd never come close to the experience of the 2018 Rolls Royce Wraith. The Wraith is what they call a "personal luxury" car. That means that it's designed to be driven by the owner, not a chauffeur. Consequently, the Wraith is a two-door design with the door hinges at the back. Using forward-opening doors may seem odd, but it actually makes getting in and out of the car much easier. What's not easy is closing the doors after you get in. But never fear, Rolls provides a little button that closes the doors for you. Very personal, very luxurious. Once you're inside, you'll notice that you have never in your entire life experienced a car seat as comfortable as those in the Wraith. They're soft, yet supportive. They're warmed or cooled as you prefer. They will even gently massage your legs and hips while you drive. It's like being at a spa. The relaxation continues with the whisper-quiet operation of the car. 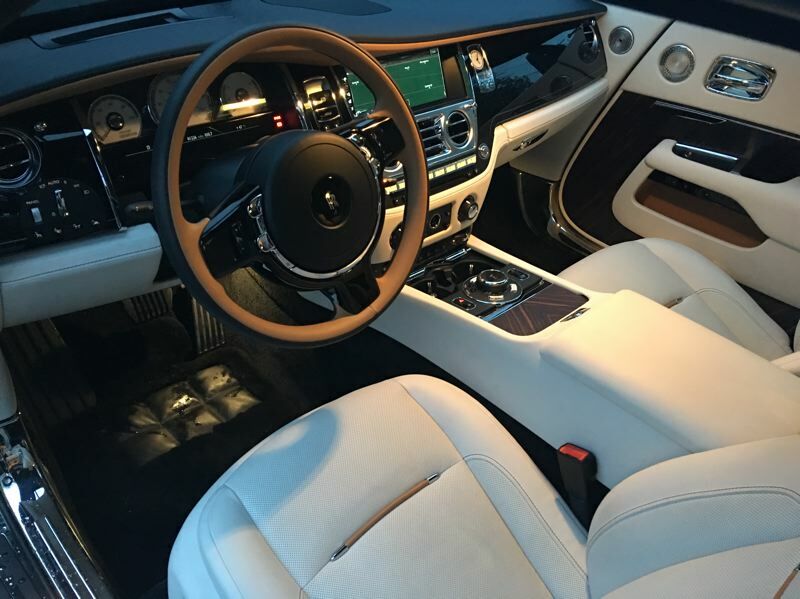 Just sitting in the Wraith has a calming effect. No one should be surprised that the stereo in the Wraith is fantastic, or that the navigation, multi-view camera, and control systems are a much prettier version of the ones you find in an upscale BMW. Both BMW and Rolls are owned by the same parent company. Under the hood, the Wraith carries a 6.6-liter V12 engine that delivers 624 horsepower and 605 pound-feet of torque. Power is sent to the rear wheels through an 8-speed automatic transmission. Rolls promises "effortless power" for this car, and that's what you get. If you step on the accelerator, the Wraith will take off as fast as you choose to drive. One technical marvel about the Wraith is that the car uses GPS to track its own location. If the car's map says that a hill is coming up, it downshifts before you get to the hill so that the Rolls never, ever, bogs down. That's what they mean by effortless power. The Wraith's 5,380-pound curb weight gives the car a silky-smooth ride. 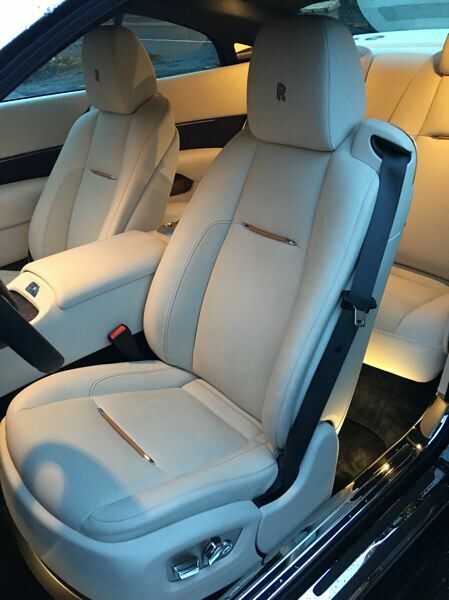 Like the seats, the ride is smooth and comfortable, but also controlled and confident. The Wraith is no sports car, but rather a classic Grand Touring machine. You could drive this car all the way across America and step out feeling good.